Android Reborn – People do like taking photo with the camera in their hand phone. However, we are sure that sometimes you get the urge of changing the photo background. So, how to change photo background on Android then? You don’t have to worry. Android is easy device to deal with. It is possible to change the photo background through Android phones. Let us tell you how here. In order to change background of photo on Android, of course you will need the help of certain application. 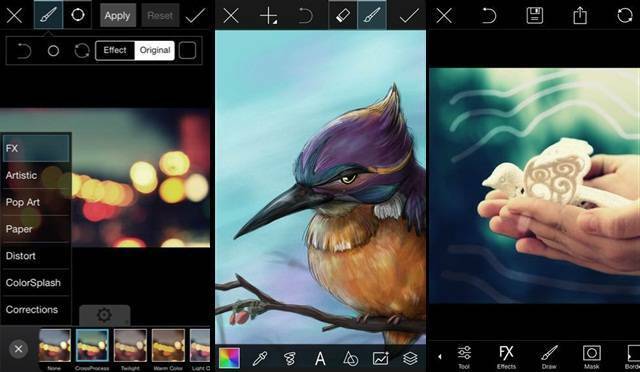 There are many apps to change photo background, but we suggest you to use PicsArt here. It is pretty simple in its use, so you should find it easy to do the job for you on Android. Sure, there are some steps you need to follow to change the background with this app. Here are the steps then. Download PicsArt Photo Studio from Google Play Store, install, and launch it. Select Photo icon and choose the gallery. Select the image you want to use as background. Drag layer towards left and select Add Photo icon. Choose the image you want its background changed. Select scissor icon and choose the brush. Paint the image manually to change the background. Select check icon and adjust the size. There you go. Those are all the things you will need to do for changing Android’s photo background. It really is easy, isn’t it? With this app, you will be able to make your photos look more interesting to look at. Choose whatever backgrounds you want for the photos. This app will give you the way to put them on your photos. Give it a try then! You will surely be satisfied with it.